Not everyone will be thrilled that you’ve chosen to homeschool your children. In fact, some people can be really rotten about the choice you’ve made. In addition to the naysayers, you’ll also deal with doubting your own choice to homeschool your children sometimes. There are days that you question why you homeschool and there will be days that you want to put them on the bus and let someone else spend their day educating them. 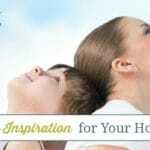 So, it is very important that every homeschool mom knows how to find encouragement for their homeschooling journey. Thankfully in the technology age that we are in, it is much easier to find encouragement for your homeschool than it was in the beginning. I’m very thankful for veteran homeschoolers that truly paved the way for us and worked so diligently to ensure we had the opportunity to homeschool our children today. Different homeschools will need different types of encouragement. Some homeschool moms will need encouragement for homeschooling with special needs, others are homeschooling high school or music. General homeschool encouragement is something that all moms need and we have to take time to find it! By joining a homeschool support group or co-op you’re able to receive (and give!) 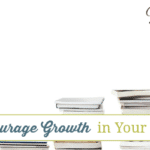 homeschool encouragement from fellow homeschool moms. When you and your children spend time with other homeschool families you’ll find that all of you are inspired to continue homeschooling successfully. Homeschool moms have a lot to say about their specific homeschool journey and offer lots of encouragement through the written word for a weary homeschool mom. Don’t just push through your homeschool days without reading some of these encouraging books for homeschool moms! 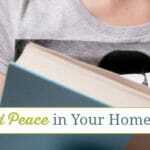 My favorite encouraging homeschool books are; Homeschooling with a Meek and Quiet Spirit and The Way They Learn . You can find a list of top ten homeschool mom books here. If you don’t have time to read books or would like small amounts of encouragement at a time, following homeschool mom blogs is a great way to find homeschool encouragement weekly or even every day! Some of my favorite homeschool moms to follow are; Vibrant Homeschooling, The Relaxed Homeschool, Embark on the Journey, The Multi Taskin Mom and of course myself here at Year Round Homeschooling. 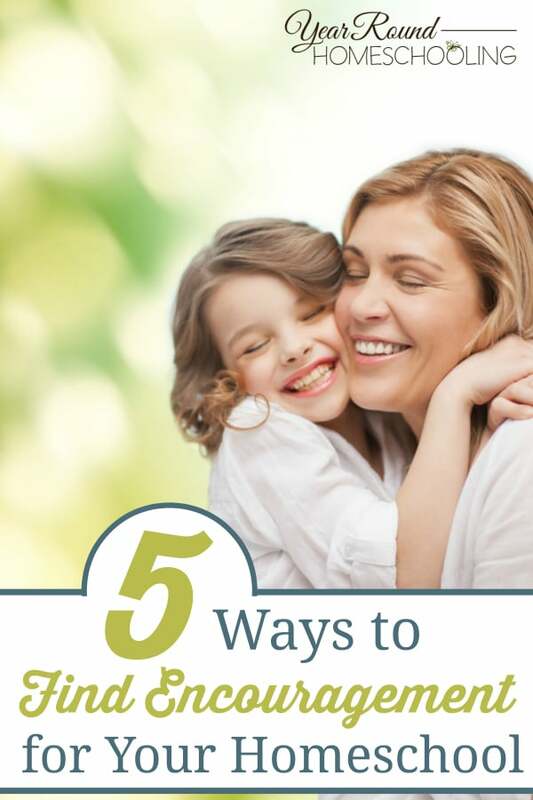 Homeschool conferences offer so much to homeschool moms! You can find new curriculum, meet other homeschool families and receive amazing homeschool encouragement and support! You can find a list of the homeschool conferences in your state here, there is also an online homeschool conference here! This is often the hardest step for us to take in finding encouragement. We don’t want to let on that we’re struggling on our homeschool journey because we feel like we’re failing. The truth is that if we don’t reach out to other homeschool moms for encouragement, we will continually struggle with homeschooling. We need to be encouraged and so do they! No matter where you are on your homeschool journey, you need to be encouraged often! Don’t try and push through your homeschool journey alone. All homeschool moms need encouragement, you are not failing nor are you not capable of homeschooling successfully. Every homeschool mom NEEDS encouragement. Sometimes we must be willing to step out of our comfort zones in order to find the things we need. What step are you willing to take to find the homeschool encouragement you need today? Needed to read this, as we’ve had a discouraging couple of months through a transitional time. I would enjoy following up with you and talking more about year round homeschooling. We’ve only completed about one year of homeschool, no set curriculum – I do a lot of child led learning. We’re about to (finish) move (just got out of the military) but I did find a local homeschooling group to connect with already. Thank you for this post! Hi Angie, I would love to chat more about year round homeschooling 🙂 Feel free to email me anytime at — misty (at) yearroundhomeschooling (dot) com — Best of luck with your move!